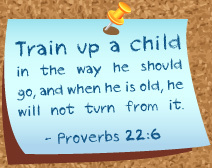 A huge emphasis is placed on your child's spiritual knowledge and growth. Monthly chapels are held in the church sanctuary by a Windsor Baptist Church pastor. Children learn how to worship through singing, bible stories, and prayer. Lunch Bunch at Windsor Christian preschool is offered to all of our preschoolers. Morning children remain at preschool for an extra hour while the afternoon children are brought in an hour earlier to have lunch together. A small fee is charged for this activity. Lunch Bunch is available on a first-come, first-served basis. Throughout the school year, our preschoolers participate in several missions projects as a concrete, firsthand example of the church serving and doing God's work in the community. In addition to the daily classroom schedule, a music or creative movement class is taught once per week. These classes support children of all abilities in developing confidence and creativity while working to improve balance, rhythm, and gross motor skills. Windsor Christian Preschool runs a two-week Summer Camp offered to any preschool child in the community. Themed weeks with outdoor activities and a field trip supplements our preschool program.